At an event in New York Today, Sonos announced its speakers would soon be integrated much more tightly with Spotify and Amazon. 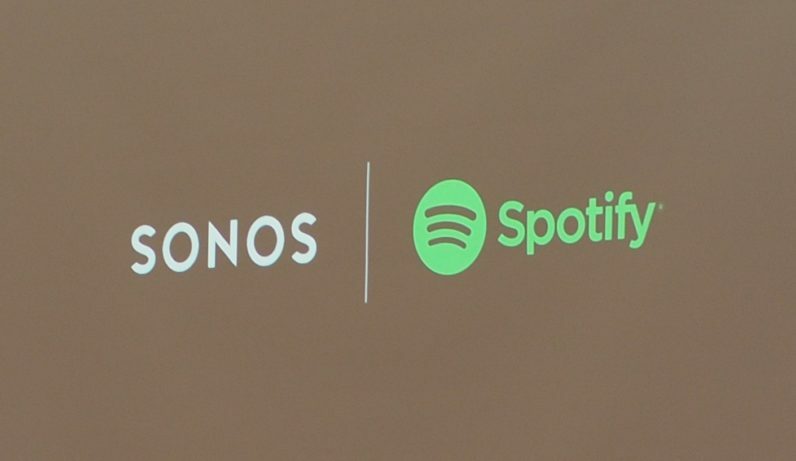 First, you’ll be able to directly control your Sonos speakers right from Spotify – no need to open the Sonos app. It’s an important move for making Sonos playback a bit more seamless. If you use Spotify often, you’ll want to play your music back from the Spotify app, not have to open Sonos’ proprietary one with its slightly more convoluted interface. Sonos says you will be able to control basically all of of your speakers’ features right from the Spotify app, including managing multi-room setups and groups. Perhaps more interesting, Sonos and Spotify are doing away with the need for a Wi-Fi connection. You will be able to control your Sonos system from anywhere you can use the Spotify app. We’re not totally sure when you’d want music playing if you’re not home, but it could be useful if you want to start pre-playing music before you arrive, or if you’re too lazy to connect to your own Wi-Fi. The feature is launching in beta in October. Sonos is also announcing a partnership with Amazon, allowing you to control your speakers using the Echo, Tap, or Dot and their Alexa voice assistant. You won’t be able to play back Sonos music from your Echo, but it’s not like the Echo sounds anywhere as good as Sonos’ speakers anyway. The feature goes into private beta this fall, but won’t be available for the public until 2017.